Last Thursday [30 march 2017], UNPO submitted a report to the Office of the High Commissioner for Human Rights on the occasion of its 28th Universal Periodic Review (UPR) Session scheduled to take place in May 2017. During this session, Pakistan will be under consideration as part of the 3rd UPR Cycle. This report is a joint submission of UNPO and its member, the World Sindhi Congress (WSC) and it focuses on human rights violations occurring in the Sindh region. UNPO’s contribution draws attention specifically to the Hindu minority affected by the systematic use of forced conversions. For this session, UNPO also submitted a more general report on human rights situation in Pakistan. UNPO’s submission was mainly based on the information contained in the reports of organizations such as Movement for Solidarity and Peace (MSP), the United States Institute of Peace and AWAAZ Project, but also on the material provided by Oxford Poverty & Human Development Initiative (OPHI) research centre. These reports complemented the information UNPO regularly gets from its members on the ground and in the diaspora. The first part of the report analyses the general framework of the practice of forced conversions. According to Islam, forced religious conversion is not permitted; however, it has been used historically to oppress minorities. Pakistan is recently seeing a great increase of cases of forced conversion in particular in the Sindh region. Discriminatory policies encountered by Hindus living in Pakistan have led to this practice, which blatantly violates Art. 18 of the Universal Declaration of Human Rights. 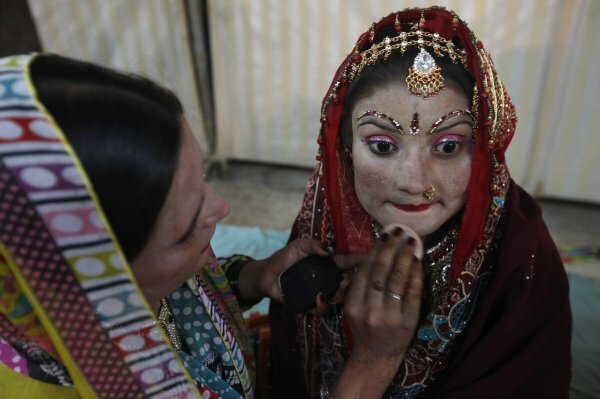 Forced conversions are encouraged in particular through forced marriage of Hindu girls with Muslim men, perpetrating a patriarchal societal system. The second part of the report summaries a list of concrete cases which prove the gravity of the situation in the Sindh province. Despite attempts by the Sindh Assembly to criminalise forced conversions and other subsequent violations, the practice continues to be inflicted in contexts of extreme poverty and social acceptance. The institutionalization of this oppressive practice towards the Hindu minority has led families to flee Pakistan to India. The issue of forced conversions had already been reported in 2012, but unfortunately this has not activated any legislative implementation of the recommendations made in favour of protection of religious minorities. 1. To ensure the ratification and implementation of the Sindh Criminal Law (Protection of Minorities) Act against forced conversions, approved by Sindh Assembly in 2016. 2. To ensure protection for all relevant parties involved in the investigation and the trial of forced conversion cases – the victim, the victim’s family, her lawyer, and even the judges. 3. To hold accountable investigation officers and judges who base their action on political allegiances, resulting in biased trials in cases of forced conversions. 4. To hold accountable all parties responsible for forced conversions, including not only the abductors, but also religious institutions which do not inquire and check on the nature of conversions before issuing certificates. 5. To provide better life conditions for the religious minorities, ensuring equal access to education, jobs and community life, which would reduce their vulnerability to abuses such as forced conversions. 6. To ensure the exercise of all human rights to religious minorities with no discrimination and in judiciary equality, in accordance with Article 4 of the Declaration on the Rights of Persons Belonging to National or Ethnic, Religious and Linguistic Minorities.